Congratulations to Pam for winning our Sweet Adeline of the Year award at our annual Installation Dinner. 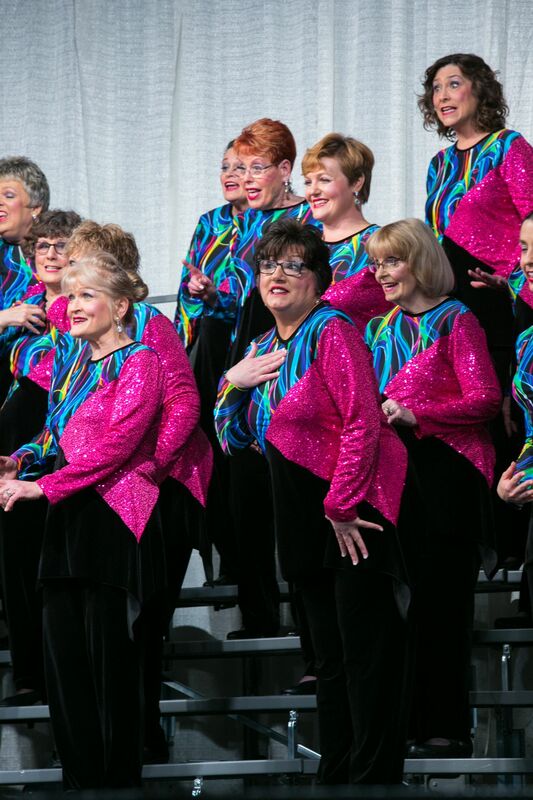 Pam is a long time member who has served our chorus in many capacities. She is currently Assistant Director as well as Lead Section Leader. She is an inspiring force for our membership encouraging both long time and new members to keep learning and always perform at our highest level. Our Director, Deb Thistle, chose Susie Fintz to receive our 2018 Director's Choice Award. Susie puts enormous effort behind the scene to make sure our chorus adminstration runs smoothly. She serves as Vice President of the board, handles our travel arrangments, and also chairs our very successful Purse Bingo fund raiser. She assists with mentoring new members and sets a good example of personal commitment to learning music and choreography quickly and accurately. Our chorus placed 5th out of 18 at our Regional Competition. We are very proud of our performance and happy that all our coaching and hard work paid off!